In this area you will hopefully find the answer to anything you wish to know about inversion and inversion tables! You can read through each section below to get a good overview of what sort of inversion tables and devices are available, and what features to look out for. You will also find information on inversion therapy and its health benefits. We will also take a look into why inversion is not a good idea for everyone! Need to know the difference between a tether strap and a pin limitation device? No problem! In this post you can read about all of the features found on the majority of inversion tables. 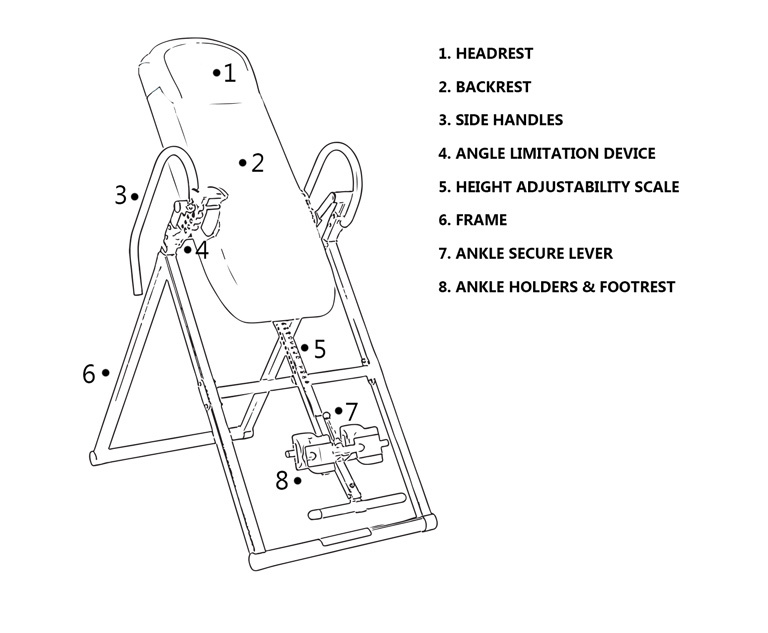 This may be very useful if you are a beginner to inversion therapy, as you will quickly see the purpose of every feature on an inversion table. If you are a little more familiar with inversion tables, the section of this post “variations of standard features” may be more useful to you. In this section we take a look at certain models where the standard features have been enhanced for the users benefit. We also consider whether these enhanced features really make the inversion tables a better choice over others! This guide is recommended for those who have not used an inversion table before. If you have used an inversion table before this post is unlikely to be much us to you. If you are new to inversion therapy, hanging upside down from an inversion table may seem like a daunting prospect at first. In this step by step guide you will learn how to use an inversion table safely and learn that is it not as complicated or scary as it may look! This guide looks into the importance of setting the inversion table to the correct height and advises users to build up the inversion angle gradually. It also highlights ways to avoid dizziness and pressure build up in the head when inverting. Here you will find some commonly asked questions by users of inversion tables and from those looking to buy and inversion table. 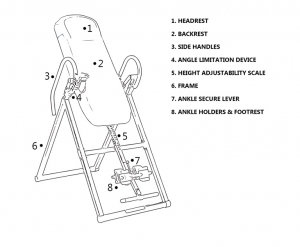 The questions found in this section are frequently asked on inversion table product pages. We will add to this page from time to time if there is a question we keep seeing spring up. If you have a query feel free to email us via our contact page. In this post you can learn about all the health benefits that may be experienced from regular inversion therapy sessions! However, you will also learn that inversion therapy is not always beneficial, and should be avoided if you suffer from certain medical conditions. Regardless of if you have any current medical conditions, we recommend that you read this post to be on the safe side. Here we will also discuss how to stay safe when using an inversion table!